Roger Ebert very famously said that “video games can never be art.” I'm not here to argue that point. However, video games have undeniably influenced cinema, which Roger considered possibly the greatest art form there is. With the recent release of film “Resident Evil: The Final Chapter” and video game “Resident Evil 7: Biohazard,” it’s interesting to consider how this franchise has worked in conjunction, often inspiring and playing off one another in ways that other films based on video games fail to consider. Movies based on video games are a notoriously artistically bankrupt genre—arguably less “art” than great games themselves—and even when an A-list cast gets involved, as in the recent “Assassin’s Creed,” the results are flat and uninspired. And yet, both the “Resident Evil” films and games have thrived not by staying overly loyal to each other, or to the other art form, but by playing with a gamer’s expectations of a film and a film lover’s expectations of a game. Films based on game franchises often fall under the weight of trying to be something they’re not. Most often, video game films are overly loyal to their source material, resulting in films full of ridiculous lore that non-fans don’t understand (“Hitman”) or, even worse, films that feel like watching someone else play a video game (“Doom”). Few things are less fun than watching someone else play a game. And, often, films based on games are working from source material that requires double-digit hours to complete, so they’re truncating story, character, and action to meet a film’s running time. That doesn’t work. The “Resident Evil” films worked by adapting the game’s mythology into a new legacy, one that feels inspired by the games without mimicking them. The protagonist of the franchise, Alice (Milla Jovovich), is a creation of the movies, but she exists in a film world constantly making reference to the games, including other characters (Jill Valentine, Claire Redfield, Albert Wesker, Chris Redfield, Ada Wong, and more are directly from the Capcom games) and even the film’s main nemesis, the nefarious Umbrella Corporation, the company responsible for the zombie apocalypse. Over six films, the “Resident Evil” movies have served as companions to the games, the only way to successfully do this kind of cross-medium adaptation given the inherent differences between the two. As a critic of both mediums, it's interesting to see how much the films influenced the games. When “Resident Evil” came out in 2002, it borrowed story and character elements from the first two games, 1996’s “Resident Evil” and 1998’s “Resident Evil 2.” However, the Capcom games were already a distinctly different beast than a CGI-heavy, action extravaganza. Those early games are foundational in what is called the “survival horror” genre—games in which you have few allies, a very low amount of ammo, and an enemy that could be behind every door. They are based on stealth and conservation of ammo, something over-the-top director Paul W.S. Anderson has never really mimicked. There’s more ammunition spent in most “Resident Evil” films than in those early games. 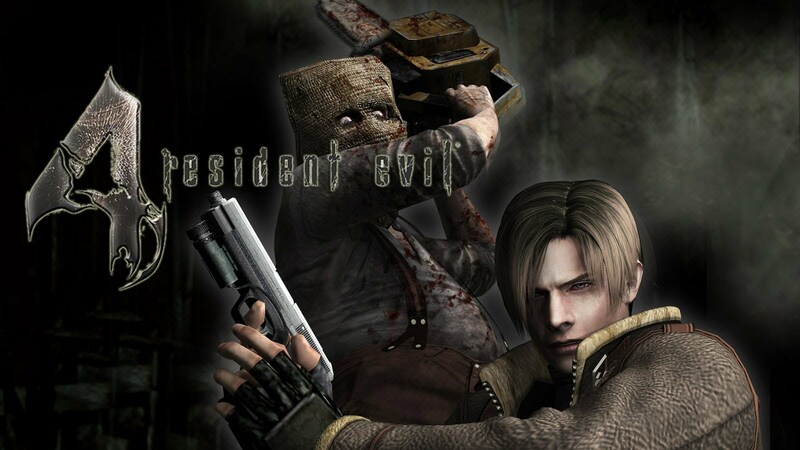 The game series really changed with 2005’s release of “Resident Evil 4,” widely considered not only the best entry in the franchise but one of the best of all time. While maintaining much of the survival horror aesthetics that made the series so successful almost a decade earlier, the action stakes were significantly raised, and it felt like the game was not only starting to feel more cinematic, not just more like Anderson’s films—which were two-deep at this point—but like other famous horror movies. There were echoes of George A. Romero, Tobe Hooper and Lucio Fulci in this action-packed, yet horrifying, experience. The balance of action and horror has arguably never been matched in a game. What’s most intriguing regarding how the films and games form one franchise is where the latter went from there. 2009’s “Resident Evil 5” and 2012’s “Resident Evil 6” were as ridiculously action-packed as the Anderson movies, feeling like they were inspired both by the tone of the films and a pressure from competitive action titles like the mega-successful “Call of Duty” franchise to include more ammunition and destruction. Video game developers in the late ‘00s and the early ‘10s seemed hellbent on using graphic engines to see how big of an explosion they could make, not unlike criticisms levied at the loud-but-brainless portions of the “Resident Evil” films. However, while the films have grown a loyal following through their consistent aesthetic choices, the games started to earn some derision, accusations that they had gotten so far removed from what made the games work in the first place that they barely resembled the original titles. A couple of spin-off releases called “Resident Evil: Revelations” moved the needle from action back to horror slightly, but it was unclear where the games would go next. “Resident Evil: The Final Chapter” and “Resident Evil 7: Biohazard” could not be more distinctly different experiences. While the former represents a culmination of choices Anderson and the producers of the films have been making for years, the latter represents a new start for the series, one that returns to roots of cinematic horror instead of CGI-heavy action. 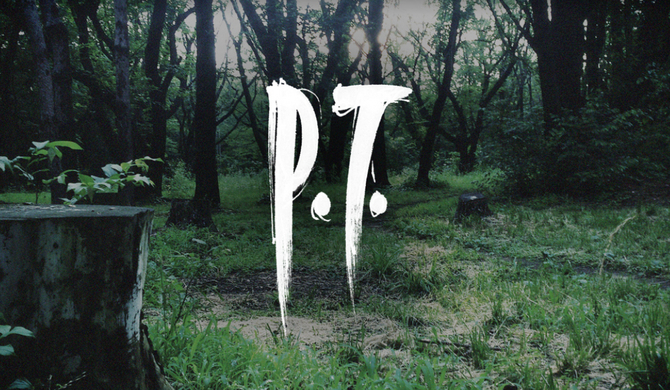 There is an interesting footnote to where “Resident Evil 7” takes gamers that should be mentioned for those unfamiliar: the tragic saga of “P.T.” Released without fanfare or notice in late summer 2014, “P.T.” (short for “Playable Teaser”) was an atmosphere-heavy teaser for something that sent chills up the spines of all horror film and game fans—a collaboration between Guillermo Del Toro and influential game designer Hideo Kojima that would serve as an installment in the “Silent Hill” franchise. “P.T.” was a terrifying experience in which you dropped into a first-person perspective in a dark house. You have no idea who you are. You have no idea what you’re supposed to do. It was a teaser that worked off sound design and visual compositions clearly meant to rattle and shake you more than test your hand-eye coordination. Sadly, Konami pulled the plug not only on the game but the teaser, refusing to allow people to re-download it. This piece of gaming history clearly inspired “Resident Evil 7: Biohazard,” which adopts a first-person perspective for the first time in the franchise’s history and returns to survival horror roots that feel like a hybrid between the first few games in the series, “P.T.,” and something distinctly new and cinematic. The first-person POV of “Biohazard” allows the developers to play with viewpoint and space in ways that the previous games simply couldn’t do. At times, they fracture the very fabric of gameplay—for example, you’re watching a VHS tape of someone’s else experience and you suddenly realize you can control the action of the recording. The concept of recordings that are malleable and impact reality could even be read as a nod to “Ringu” (remade as “The Ring”) or other tech-heavy entries in the J-Horror subgenre. 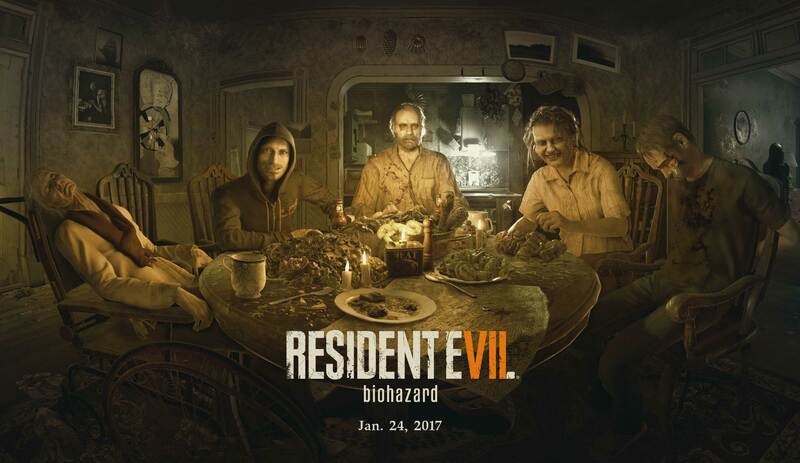 However, the real influencer behind “Resident Evil 7: Biohazard” is something that Anderson probably hasn't referenced when storyboarding: “The Texas Chainsaw Massacre.” At a key point early in the “Biohazard” experience, you awaken at a table not unlike the nightmarish centerpiece of Tobe Hooper’s film, surrounded by inhuman cannibals in the other seats, eagerly anticipating slicing you up and eating you. It’s not long before you’re hiding from this family of superhuman maniacs, almost like you’re fleeing Leatherface in a house of horrors. Horror returns to the “Resident Evil” games, and this one is even playable in the new PlayStation Virtual Reality system, which I’m honestly not sure I could handle intestinally. The newest "Resident Evil" film and video game may have been released in in the same week, but “Resident Evil 7: Biohazard” is the best game in the franchise since “RE4” because it divorces itself from the tone of the Anderson films, but not from movie influences entirely. As you progress, it moves from Hooper to a more gothic, haunted house aesthetic, undeniably influenced by what del Toro brought to “P.T.” as well as classic films that featured run-down mansions by a lake or cabins in the wood (there’s even a streak of black comedy that calls to mind Sam Raimi’s “Evil Dead” films). And yet the game also constantly reminds you of its own origins, never getting too far afield from the 1996 aesthetic of limited ammo and health healed by randomly-found herbs. If anything, it’s the blend that the film franchise and game franchise have been working towards for two decades, offering a glimpse of not just the cinematically-inclined destinations to which this series could go from here but where all horror games might be headed.